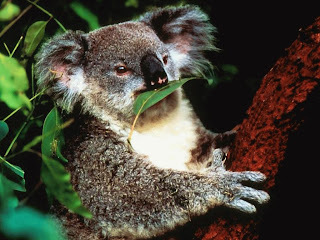 Animal Wildlife | Koala | The koala is a small bear-like mammal native to the forests of Australia. 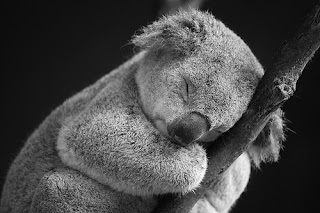 The koala does not exist in western Australia but can instead be commonly found on the east coast of Australia. 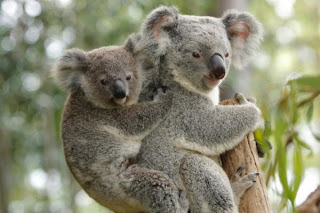 Despite the bear-like appearance of the koala, the koala is not a species of bear but is a marsupial as the koala has a pouch on its tummy in which the baby koalas are carried in. The koala is a seemingly fairly docile creature, with the koala spending its time sleeping in the tops of eucalyptus trees. The koala eats the leaves of the eucalyptus tree which accounts for the majority of the diet of the koala. 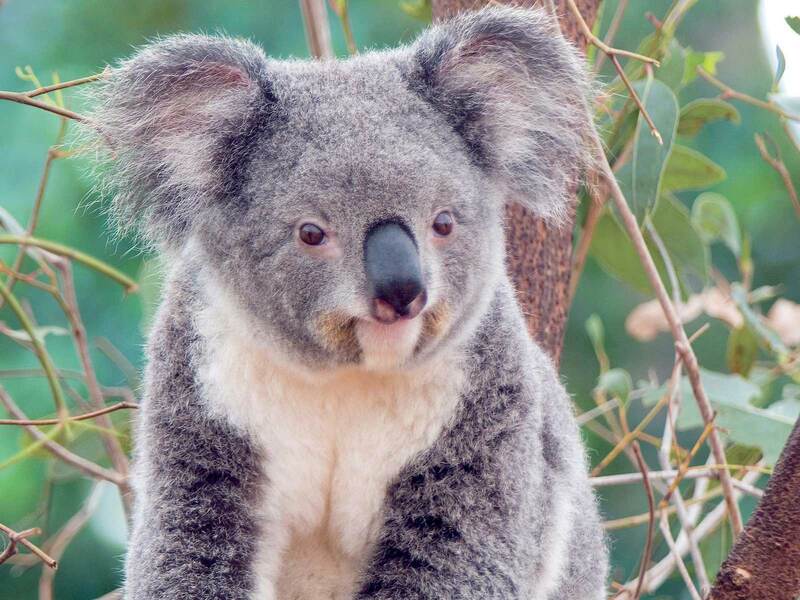 The koala in southern Australia was very nearly wiped out by Victorian settlers in the 1800s. Koala conservation work is underway, as the koala numbers slowly repopulate the southern population of the koala. There are believed to be three different subspecies of the koala, although these koala subspecies differ very little from one another. 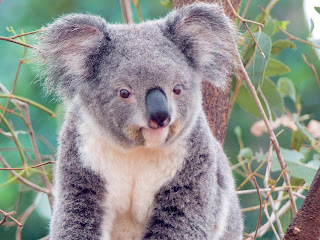 The main noted difference between koala subspecies is the today less common southern koala tends to be slightly larger than the other koalas further north. This southern subspecies of koala is also found in a variation of colours from the typical grey to dark brown. 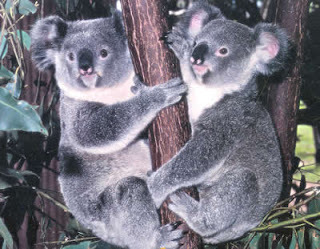 The other koala subspecies are generally grey in colour with the odd white tuft of fur. The koala has a thick coat of fur, large ears and long limbs all which aid in the survival of the koala in its natural habitat. The koala also has sharp, curved claws which help the koala to climb trees and hang onto branches more effectively. Female koalas are able to start giving birth to baby koalas when the female koala is between two and three years old. Healthy female koalas will then tend to have one baby koala every year for more than 10 years. Baby koalas are weaned from birth by the mother koala on both the milk of the mother koala and eucalyptus leaves and until the baby koala is about 12 months old. Female baby koalas will tend to leave their mother at this stage and will move to surrounding forest in order to begin starting their own family. Male baby koalas will generally stay with their mother until they are around 2 or 3 years old, and the male will then leave the home of the mother koala in order to find a mate. When a baby koala is first born, the baby koala spends the first 6 months of its life hidden in the pouch on the front of the mother koala. During this time, the baby koala will eat nothing but the milk produced by the mother koala and the baby koala will also grow its fur, ears and eyes. The baby koala will then be ready to begin exploring the world outside the warm pouch of the mother koala.